SOURCE: AllSector Technology Group, Inc.
NEW YORK, NY--(Marketwire - Feb 10, 2012) - AllSector Technology Group, Inc., a provider of case management software, business process management solutions and managed services to the not-for-profit industry, today announced the formation of a Healthcare Consulting Practice (HCP). This new practice provides technology and business process consulting to a wide range of health and human services organizations, including acute care hospitals, behavioral health agencies, and physician practice groups. Physician and healthcare IT executive, Dr. Richard Roistacher will serve as senior vice president of healthcare technology for the HCP. 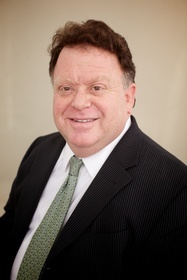 Dr. Roistacher brings unique expertise in both clinical care and information technology to this position, having served as chief medical informatics officer and medical director of medical associates for Saint Vincent's Medical Center. Kathleen Parker, a 25-year healthcare IT veteran, has been appointed as vice president of healthcare technology. 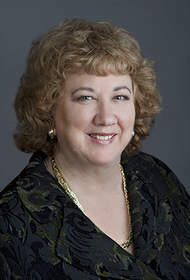 Parker's expertise includes a wealth of knowledge in technology systems, project management and systems improvement during her time as chief information officer at New York Downtown Hospital, along with various IT leadership roles at Mount Sinai NYU Health, Stamford Health System, and Saint Vincent's Medical Center. "As a leading provider of technology service to the not-for-profit industry, we have experienced first-hand the remarkable role technology plays in a healthcare organization's ability to care for patients and run a successful operation," said Michael Davis, president and chief executive officer at AllSector. "We strongly believe that with Dr. Roistacher's leadership, our newly formed practice is uniquely qualified to help organizations manage and organize technology to help achieve their goals." Through use of targeted methods, HCP offers solutions to the immediate challenges healthcare organizations are facing with compliance of government regulations. This includes the implementation of electronic health records, accountable care, meaningful use criteria, and health home initiatives. Services include strategic IT planning, senior level project management, and the selection and execution of systems designed to meet the needs of healthcare organizations. AllSector Technology Group, Inc.® is an all-together different IT company, providing advanced technology solutions to the not-for-profit industry since 1998. The company's broad range of services help health and human services, education, and government agencies run their operations most effectively. The company provides cloud-based application solutions, network infrastructure and application management, hosting, help desk, and professional consulting services. AllSector's AllTrac Suite™ is a pioneering cloud-based platform that reduces an organization's operating expenses by replacing manual forms and processes with electronic workflows, collaboration and reporting tools. The suite includes AllTrac Case Manager™, a feature-rich application package that provides client intake and assessment, case notes, forms generation, and other care management tools. AllTrac AutoMate™ is a modular solution set that delivers business process improvements in human resources, facilities management, finance and purchasing, grant and contract management, IT service management, incident reporting and beyond. For more information, please visit www.allsector.com or visit their Facebook page. About this company AllSector Technology Group, Inc.